French artist and photographer JR jumps in front the Louvre pyramid after recovering it 'with a surprising anamorphic image', according to the museum in Paris on May 25, 2016. This recovering introduces the opening of JR exhibition 'Contemporary art  JR at the Louvre' will run from May 25 to June 27, 2016. JOEL SAGET / AFP. An assistant poses with first editions of the First Four Folios of William Shakespeare's collected plays during a press preview at Christie's auction house in London on April 19, 2016. JUSTIN TALLIS / AFP. A Mijiaya funnel analysed for this study (in total 2 funnels have been analyzed). Photo: Jiajing Wang. Lottatori, (wrestlers), first century B.C. Roman sculpture, is part of the Uffizi Gallery collection in Florence, Italy, to be digitized in 3-D.
An experienced museum director and art historian, she possesses global connections and is highly communicative. Grafton Tyler Brown (18411918), A Canyon River with Pines and Figures (Yellowstone), circa 1886 (detail). Oil on canvas, 35¾ × 56 inches. Tacoma Art Museum, Museum purchase with funds from the Art Acquisition Fund and the Black Collective, 2016.5. Project is public-private partnership with the City of New York. Albert Edelfelt, La laitière. Oil on canvas, 73.5 by 60.5cm., 29 by 24in. Estimate: 300,000-500,000 GBP. Sold for: 353,000 GBP (461,371 EUR). Photo: Sotheby's. Fernand Léger (1881-1955), Composition, 1925. Watercolor on paper, 14 x 10-3/4 inches. Manolita Marequis" is an excellent example of Henri's fascination with Spanish subjects. Dominic Lyncker: joins H&H Classics on June 1st as Managing Director. Kurt Schwitters and Käte Steinitz, HahnePeter. Familie Hahnepeter Nr. 1. Väterchen gewidmet First edition. Hanover 1924. Calling price:  4,000. Result:  36,000. Lot 37 An important "Organic Chair", Model No. A3501, designed by Eero Saarinen & Charles Eames, USA 1940. Estimate: 35,000-50,000. © Dorotheum. Jasper Sharp talks about the exhibition "The Shape of Time"
April 24, 1904. Willem de Kooning (April 24, 1904 - March 19, 1997) was a Dutch abstract expressionist artist. He was born in Rotterdam, in the Netherlands. He moved to the United States in 1926, and became an American citizen in 1962. On December 9, 1943, he married painter Elaine Fried. 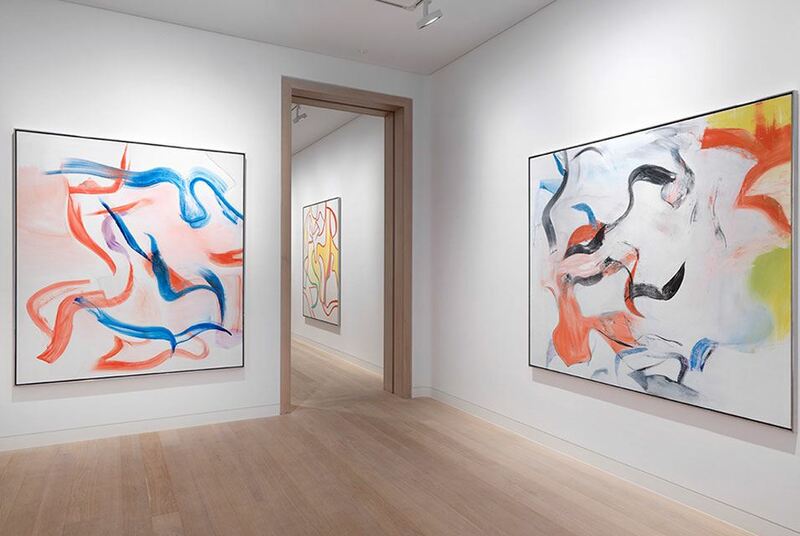 In this image: Installation view.of exhibition of Willem de Kooning’s late paintings at Skarstedt. © The Willem de Kooning Foundation Artists Rights Society (ARS), New York and DACS, London 2017.